It seems that Facebook is relaxing its ban on virtual currency companies. This time, the CEO of Coinbase, Brian Armstrong, announced that the platform has been approved to display ads on Facebook. Of course, there have been an important number of scams in the cryptocurrency world. And this number increased even more when the market reached its all time high in December 2017. Initial Coin Offerings expanded as well. Several projects started to appear in the market and investors saw important investing opportunities on them. But the truth is that some of these new projects and ICOs were scams or just fraud. And companies like Google, Twitter and Facebook decided to ban crypto-related ads, claiming that they were protecting investors and users. 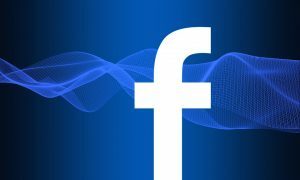 On June the 20th, Facebook announced that it was going to reverse its ban on cryptos after six months. And indeed, Coinbase has been one of the first companies benefited by this decision. Coinbase is one of the most important cryptocurrency companies in the space and it offers different services such as an exchange, wallet and custody. This decision taken by Facebook to whitelist Coinbase will have a very positive impact on the platform. It will have an advantage over its competitors and it will have the chance to promote its products and services in one of the biggest social platforms in the world. Those new rules implemented by Facebook, that allow some specific companies to promote their services, are very positive in general for the crypto world. New individuals, investors and interested people will be able to know more about this market. It can be taken for granted that Coinbase will have an aggressive campaign in Facebook to attract new consumers that are searching new ways to enter the crypto and blockchain space and get prepared for the next bull run.